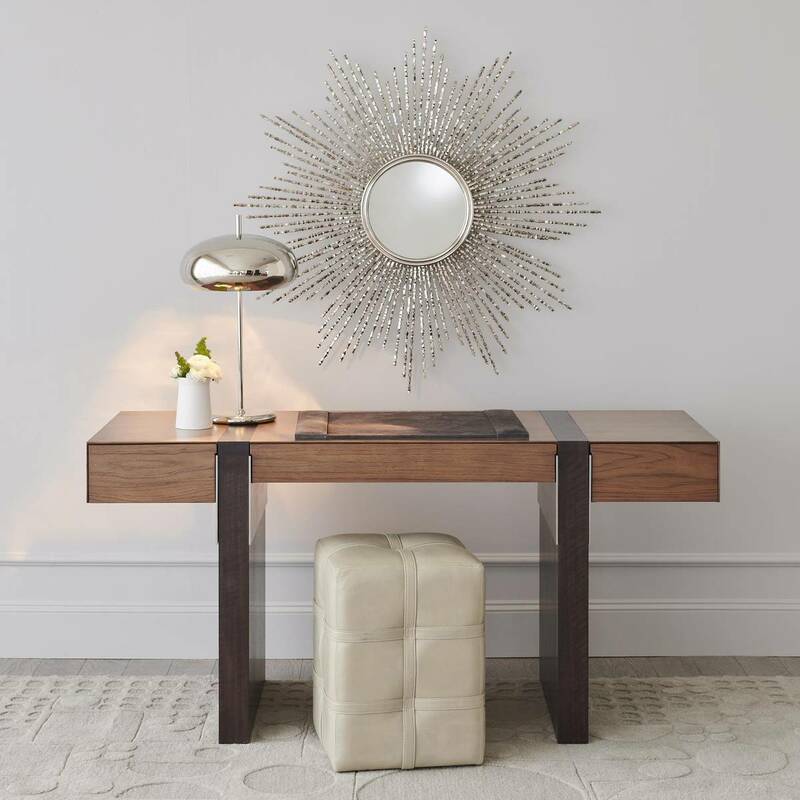 The Global Views Strut Desk features a simple and clean design that provides the perfect work space. 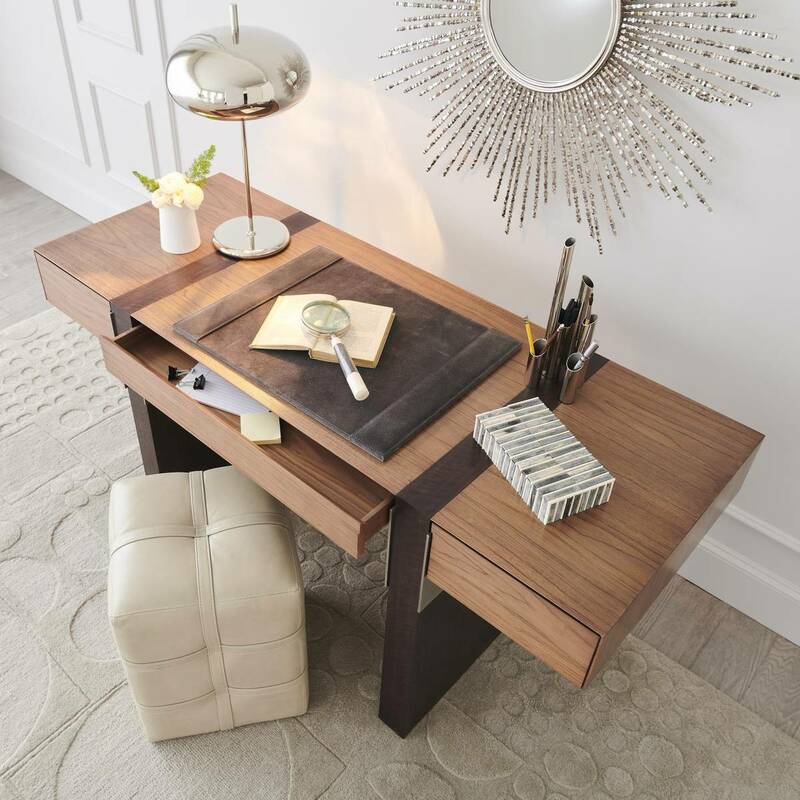 This multi color modern writing desk has been crafted of walnut with a walnut ebony wood finish and Stainless steel accents. This desk Contains three convenient storage compartments to store all your needed supplies with one oversized pencil drawer in the middle and two smaller drawers on each end.